An extremely practical boot bag with a side pocket for boot socks etc., a stiffened waterproof base with protector feet to avoid chafe and a full depth, double zip so you can step right into the welly bag and out of your muddy boots. 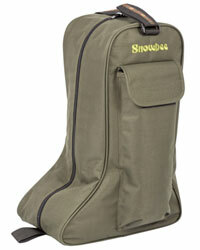 A must for any fisherman or country sportsman to protect the car from mud. 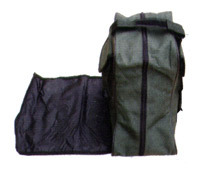 Easy storage bag with roll out mat designed to keep your car and home clean. Zip fastening system Jack Pyke leather logo. Approx size 48 x 35 x 25cm.